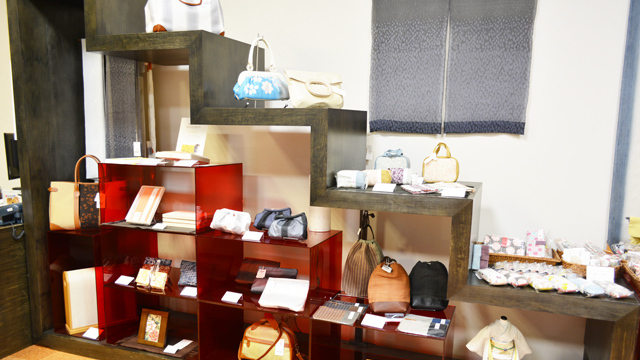 WAPON, a kimono shop organized by kimono manufacturers in Tokamachi, offers a variety of high-quality and easy-to-wear kimonos at reasonable prices. 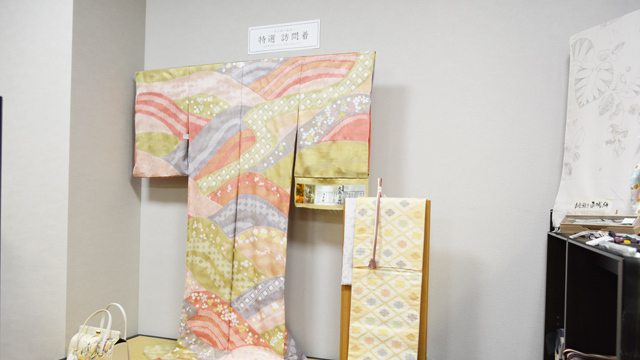 Kimonos carefully dyed by skilled artisans are available at such prices only from kimono manufacturers. 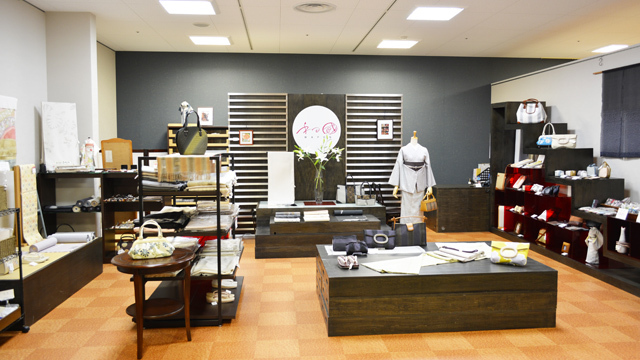 If you have any trouble with tailoring or coordinating your kimono, please feel free to consult us, since some of our staff members are qualified as kimono-making technicians. 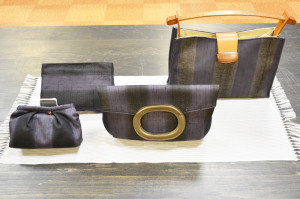 Our original bags have been highly regarded by customers, who say "that's exactly what I want!" 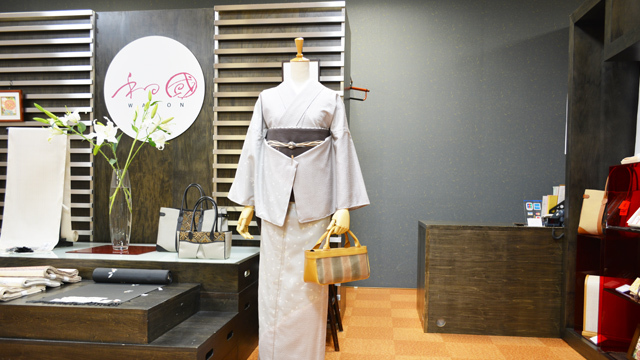 We offer a wide range of products so customers can enjoy totally coordinated distinctive kimonos in their own way. Unique and impressive burls that cannot be seen on other pongee fabrics are realized by weaving cotton made of flowering fern with dupion silk spun by hand from the highest-grade spring cocoons. 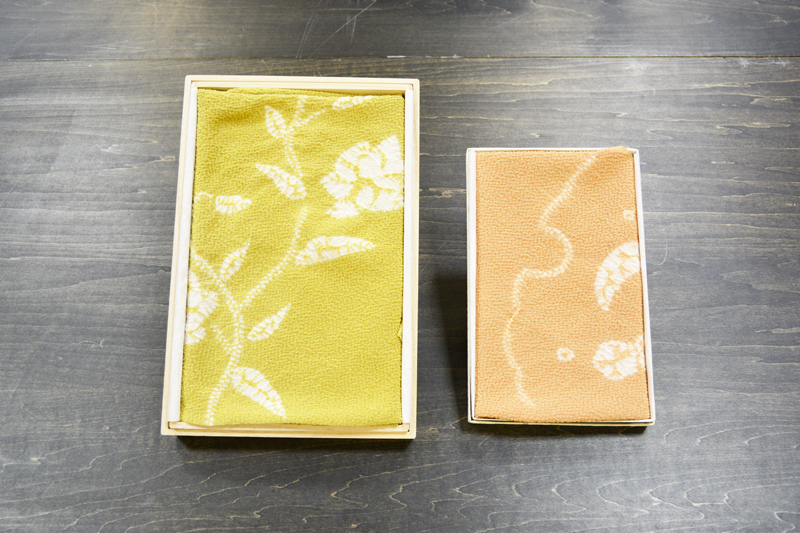 This is a Japanese traditional dyeing method passed down from the Nara period (8th century). Threads are stitched along patterns and then pulled together to prevent the areas from being dyed. When threads are unwound after the cloth has carefully been dipped in dye, tying-specific beautiful patterns are created with delicate bleeding and stereoscopic effect. 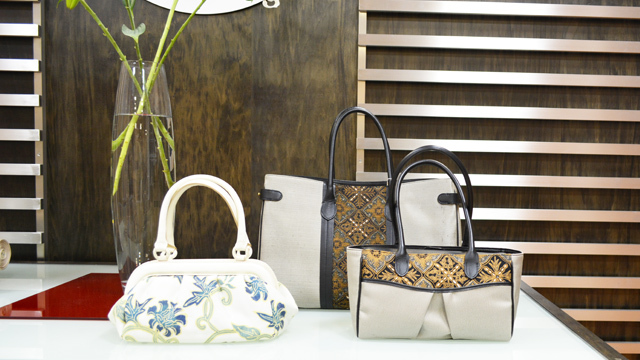 Different elaborate colors dyed through stitching can only be accomplished by hand work. * Other colors and patterns also available. Copyright © 2016 Cross-ten All rights reserved.